Learn how to build power, core strength, leg drive, improve coordination and analyse your own weaknesses with Front Squats. Front squats are a staple exercise in Olympic weightlifting programs as they serve as the base for the catch position in the clean. 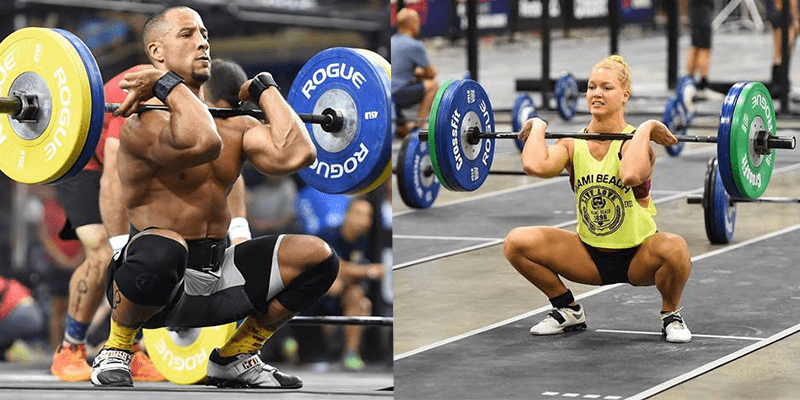 Generally, people tend to lift more weight with the back squat and often find holding the bar in the front rack position difficult. As a result, front squats are often neglected. The exercise requires good strength to carry the weight and great mobility to coordinate it through the full range of motion. Having a well-developed chest, biceps and shoulder can often lead to a natural medial rotation of the upper arms (think shoulders hunched forwards, arms turned inwards) if this part of the body is not balanced out by a well-developed back as well. If this sounds familiar, the front squat will force you to remedy this posture, improve your movement and start to address this issue. For more information on muscular imbalances, check out this article with the strength and movement coach from CrossFit Invictus.